The first force discovered by the first physicists was gravity. Over four hundred years ago our understanding that gravity was a force at work throughout the Universe, was explained by Sir Isaac Newton. Nearly 100 years ago we modernized our understanding with Albert Einstein’s General Theory of Relativity. And despite all this homework, gravity is still the force least understood by physics. 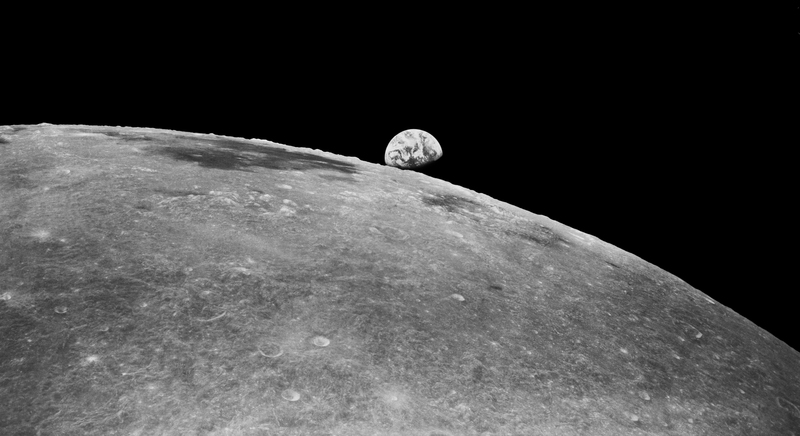 Physicists understand gravity well enough to get us to the Moon. So why is Sheldon still working on gravity? Electromagnetism is familiar to us and pushes currents into our houses and electrons through our electronic devices. Lucky for us, it holds atoms and molecules together. The “strong” force holds nuclei together. The atomic nucleus is made of neutrons (no electric charge) and protons (positive electric charge). 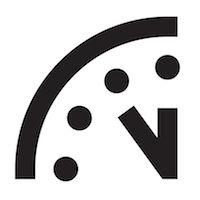 Since same-sign charges repel, the atomic nuclei should all blow apart. They are trying to, but another force, the strong force, holds them together. The strong force is stronger than the electromagnetic force in the nucleus. But only at short distances. That’s why we don’t experience the strong force on our human scale. Its range determines the size of the biggest nuclei we can make. We have never made a nucleus larger than about 300 protons and neutrons. Since they are packed in a sphere and protons and neutrons are about the same size, you can calculate the radius using simple geometry: Volume =4/3πr3. The final force on our list is the so-called “weak” force. The weak force is so weak it doesn’t hold anything together (that I know of). But it still operates at the subatomic level. Its strength would be comparable to the electromagnetic force but its range is even smaller than the strong nuclear force. It’s range is almost 1000 times shorter. It’s important though because it is the only force that can change protons into neutrons and other transitions. Without it, the Sun could not fuse 4 hydrogen atoms (4 proton) into helium (2 protons and 2 neutrons) and would not have an energy source. But these last three, while discovered later, are the best understood. These three play nicely with the over-arching framework of quantum mechanics. You may often hear that quantum mechanics is the domain of processes that are very small. That isn’t really the right story. Quantum mechanical effects have been seen to operate over distances the size of the Earth as one type of neutrino morphs into another. And that’s not the limit. I once co-authored a paper about a possible quantum mechanical effect that takes place over a distance of 1 billion light years. So it is an over-simplification to say quantum mechanics is the physics of very small distances. It misses a key feature. Quantum mechanics actually uncovers a special relationship between distance and momentum. So it is really when the product of the characteristic distances and momenta are small that quantum mechanics is important. Relativity and Quantum Mechanics tie together different physics quantities at a deep level. The two theories are about different relationships. It is when we try to deal with all these relationships at once, that gravity gets into trouble. One of the biggest dramas in physics of the last 50 years of physics has been to reconcile the relationships of quantum mechanics with the theory of relativity. And three out of four times we were ultimately successful. There are good working theories of the quantum mechanical behavior of the electromagnetic, strong and weak forces. They are tested every day in the laboratory to high precision. But gravity has not yielded. Much of the theoretical work in physics works on forming a consistent formulation of quantum mechanics and gravity. These are the goals of string theory and loop quantum gravity that Leonard and Leslie once argued about. Other attempts are underway. So far though, none has passed an experimental test, most don’t even make a distinguishing experimental prediction. And that, finally, brings us to the science in today’s show. Sheldon’s seminar is not just about “thermodynamic fluctuations”, an elementary part of our theories of heat and energy. Rather, it is how gravity might emerge from a process that looks a lot like them. A new theory arguing this point came out recently from a respected theorist in the Netherlands, Erik Verlinde. The relevant equations were on tonight’s apartment whiteboards. So it is a great embarrassment of physics, that the first force we discovered, gravity, is still the least understood. But I have hope. After all, Sheldon is on the job. Sometimes you need a secret decoder ring. We had a few shout-outs to the world of physics and chemistry tonight. KOOTHRAPPALI: (TO SHELDON) I’m telling you, if xenon emits ultraviolet light, then those dark matter discoveries must be wrong. And now you are in on the most controversial discussions in physics today. We’ve discussed here before that about two-thirds of the matter in the galaxy is a dark, unknown substance: the aptly named “dark matter”. Meanwhile teams of physicists are working hard to be the first to prove dark matter exists, by capturing one of its interactions in a particle detector. For whoever detects it first, there is no end to the fame. 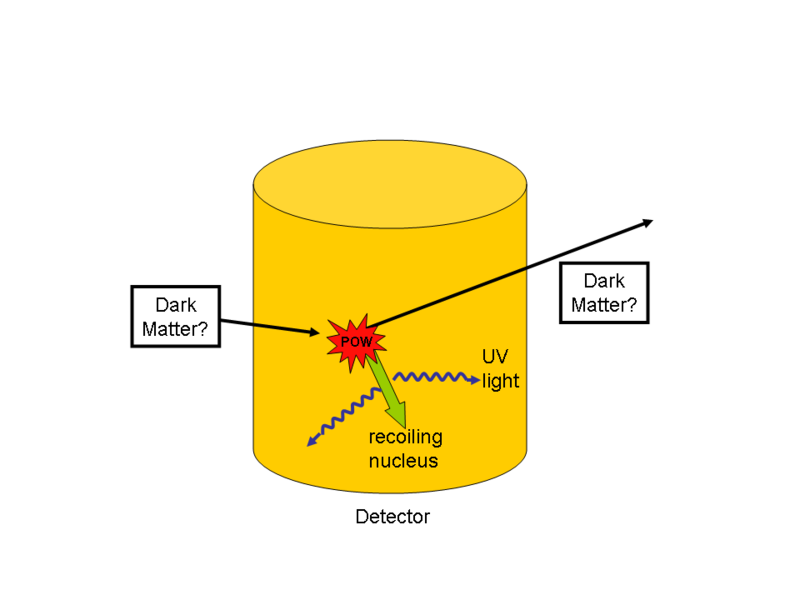 Sensitive detectors look for dark matter. A dark matter particle may kick a nucleus in the detector leaving behind detectable energy, such as ultraviolet light. But a new type of detector started working recently. Xenon is a gas in every breath you take, but being a noble gas just goes along for the ride, never interacting in your lungs. But xenon can be refrigerated to below -162 degrees F where it becomes a liquid. When a dark matter particle passes through it, it occasionally will give a single xenon atom a small kick. That small kick causes the xenon’s atomic nucleus to move a short distance through the liquid—producing free electrons, heat, and light. The highest frequency light your eyes can see is violet. But energy deposited in xenon produces light with a color a little bluer than violet, called ultra-violet light. You can’t see it but particle detectors can. The xenon detectors is enormous, 100 kilograms, hence its name XENON-100. But XENON-100 doesn’t see the tell-tale ultra-violet light from dark matter collisions. Is it because the others’ dark matter discoveries were wrong? Or is there just not enough ultra-violet light being produced in the liquid xenon? That’s what Sheldon and Koothrappali are arguing about. And so. are. the physicists. But the whiteboards today had nothing to do with this science. Today’s whiteboards honored a special guest. Once while talking to a Big Bang Theory writer, he recommended I watch the film Real Genius (1985). I didn’t know what to expect but put it in my Netflix queue nevertheless. When I saw it I was blown away….not necessarily by the story or the characters (which were fine), but by the important part: the scientific sets and dialogue. It turns out that Real Genius had a scientific consultant, Martin Gundersen, a professor of physics from across town, the University of Southern California (USC). Now that I know how much goes into getting sets and stories right, I was in awe of what a great job they had done, from the sets to weaving physics right into the plot line. So I sent Prof. Gundersen a fan letter. He responded and eventually was able to visit the set of The Big Bang Theory during the taping of this episode. Prof. Martin Gundersen, the science consultant for Real Genius (1985). 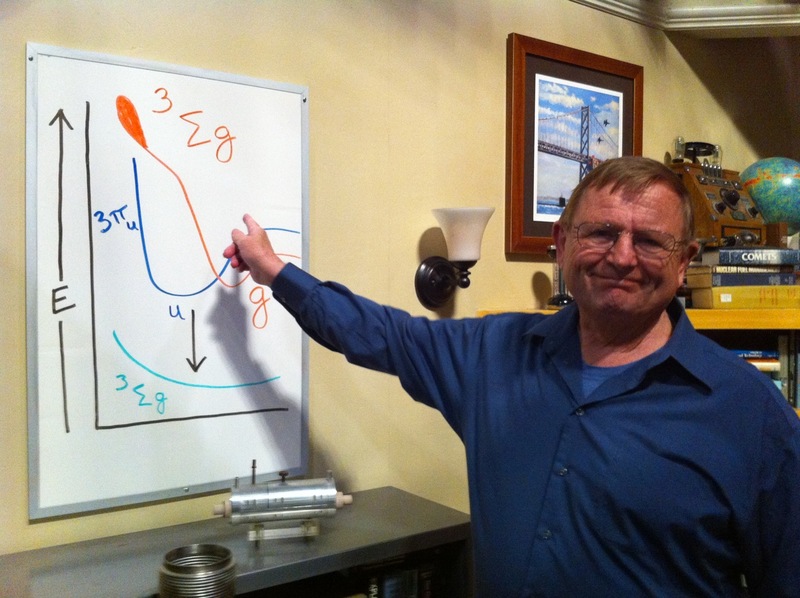 He recognized the whiteboard in Leonard and Sheldon's apartment during the taping of this episode. So those of you that are whiteboard fans AND have a good memory know what was on the whiteboards. It was identical to one of the boards used in Real Genius 25 years ago…. 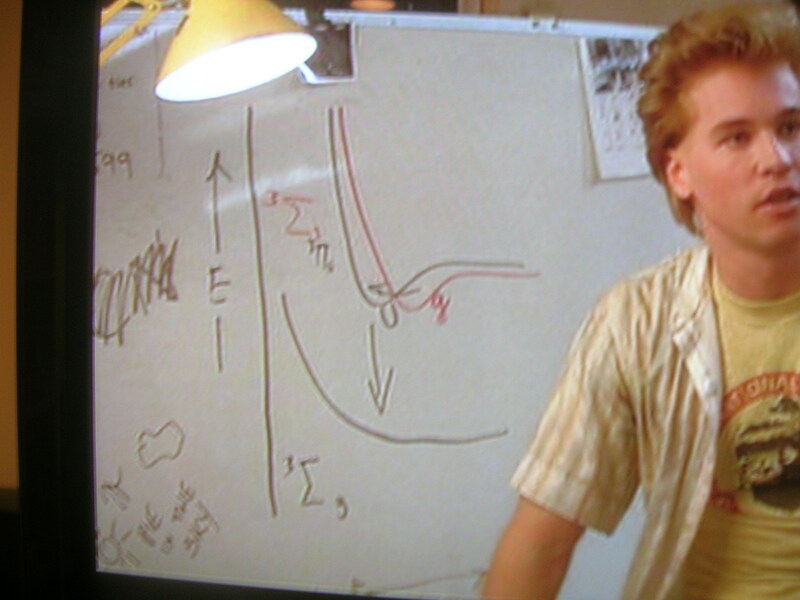 Chris Knight (Val Kilmer) steps out of the way so we can see the original whiteboard in Real Genius (1985). I don’t want to spoil the plot of Real Genius by explaining how excimer lasers work. It’s only been 25 years and not everybody has had a chance to see it yet. By now I expect you are running out of the room. In tonight’s episode we heard the names of many physicists who took part in the Manhattan Project, the U.S. program that built the first nuclear bombs. We were introduced first to the name of one of the most famous physicists of the twentieth century, the chief physicist in charge of building the so-called “gadgets”, Dr. J. Robert Oppenheimer. Unlike Sheldon (and many others), I prefer to say “nuclear” not “atomic”. “Atomic” tells us nothing special. All chemical reactions use atoms, and you’d be justified in calling even T.N.T. an atomic bomb. What is special about nuclear power is that it uses the forces in the nucleus, which are about a million times stronger than the forces holding the rest of the atom together. It is specifically nuclear reactions, not chemical reactions, that are responsible for the extraordinary power of a nuclear bomb. At this point I wonder, does he sounds similar to any of the fictional physicists we know? But at the same time, Oppenheimer and our fictional hero could not be more different. Oppenheimer had a driving ambition to be close to the political powers in Washington. So much so, Oppenheimer even lied and falsely implicated his friend, Haakon Chevalier, as being linked to Communist espionage, ultimately causing grave damage to his friend’s career, while furthering his own. 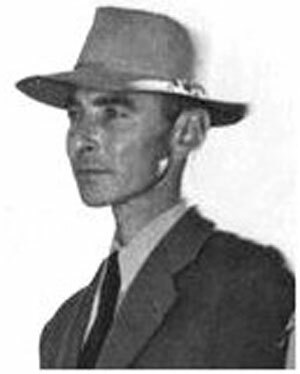 Like a Greek tragedy, this misstep ultimately led to Oppenheimer’s own fall from political grace, ultimately even having his security clearance revoked — a stunning blow to the man who had been the scientific leader of what was perhaps the largest secret military project ever undertaken. If the radiance of a thousand suns were to burst at once into the sky, that would be like the splendor of the mighty one. 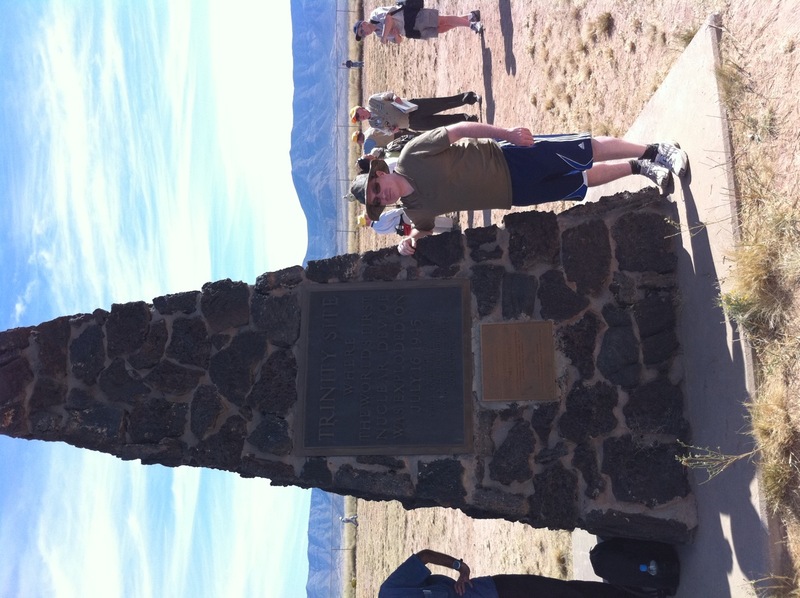 As it happens, I visited the Trinity Site last weekend. I had given a seminar last Friday nearby, at the National Radio Astronomy Observatory, home of the Very Large Array in Socorro, New Mexico. 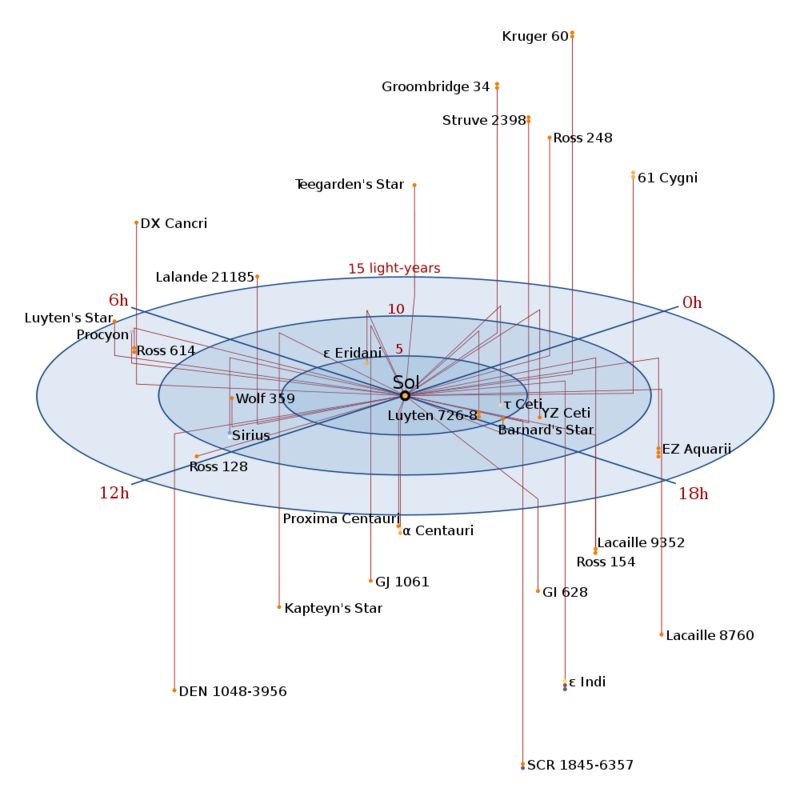 (That’s the same array of telescopes Jodie Foster used in the movie Contact. And yes, she really went there; they still have pictures of her visit on the walls.) Twice per year, the Trinity is open to the public. You can combine that with a trip to the VLA. Your science consultant at the Trinity Site. After a short drive through the White Sands Missile Range we arrived at the site. You might worry about the the wisdom of walking around unprotected where a 20 kiloton nuclear weapon was detonated. What about the radioactivity? After the atomic bomb test, the heat of the blast melted the sand and plutonium fallout into a glass, forming a unique mineral called trinitite. Small bits of the green glass are underfoot nearly everywhere you walk. 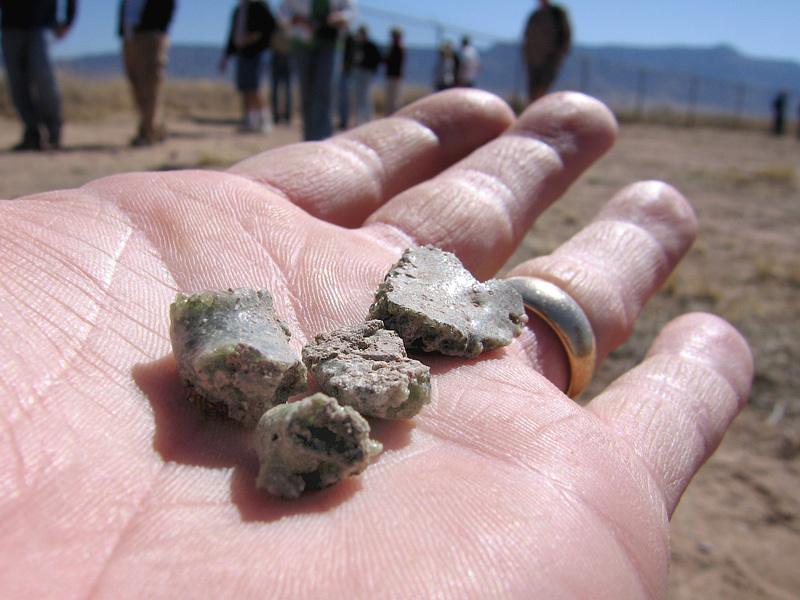 During the nuclear explosion at the Trinity Site, desert sand fused with nuclear fallout to produce a new mineral, trinitite. For the hour I walked around, I was exposed to radiation dose of 0.5 “millirem”. A millirem is one thousandth of a “Roentgen Equivalent Man”, an outdated but well-known unit for measuring radiation exposure. That may sound scary but 0.5 millirem is very small compared the natural sources of radiation which are everywhere. The average person in the U.S. receives over a 350 millirem dose every year, mostly from radon. Even if you try to escape radon, the potassium-40 in your bones are constantly undergoing radioactive decay. For my trip to the Trinity site, I received by far most of my dose from the two-hour airplane flight each way from Los Angeles to Albuquerque. In a commercial jet you are above much of the atmosphere that normally protects you from radiation due to cosmic rays, particles from space striking the earth. (Extra for experts: it is not just the dose, but the duration of the dose that matters. Doses received slowly, over the course of a year, give your DNA more chance to repair itself before possibly forming tumors than if you receive it all at once.) It takes a 100,000 millirem dose before it starts to have measurable effects on your blood. At twice that, you start feeling radiation sickness. In many other cases radiation is outright helpful. X-rays help doctors diagnose broken bones and the positrons emitted in PET scans allow doctors to find cancer. Gamma-ray and other beams are often used to destroy tumors once they are found. 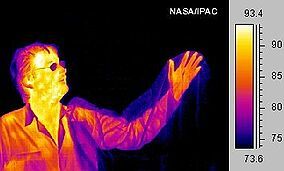 Biologists use radioactive markers to understand all sorts of processes important to life. Smoke detectors rely on the decays of americium to light a phosphor. Nuclear power reactors provide an enormous supply of electricity while producing essentially no greenhouse gases. It is six minutes to midnight, folks.